Official press release: COAL CHAMBER, the ’90s alt-metal band fronted by current DEVILDRIVER singer Dez Fafara, will reform for next year’s Soundwave festival in Australia. 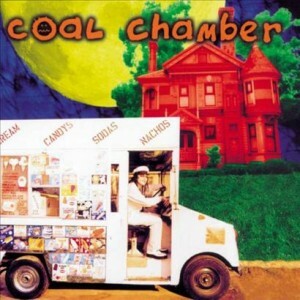 COAL CHAMBER rose to prominence with a gold-certified debut album in 1997 that established the group as one of the most promising bands on the then-emerging, so-called “nu metal” scene. Nadja Peulen replaced COAL CHAMBER bassist Rayna Foss Rose in 1999 during Rose’s pregnancy for almost 12 months while the band was on the road supporting its second album, “Chamber Music”. Rayna came back to the band after her pregnancy leave and recorded COAL CHAMBER’s third album, “Dark Days”. Shortly after recording “Dark Days”, Rayna quit the band and Nadja was recruited for the touring cycle that followed the CD’s release. The band broke up during the “Dark Days” tour in 2002. We had the pleasure of chatting with Coal Chamber frontman Dez this morning to about the upcoming Coal Chamber shows at Soundwave 2012! Hey Dez, thanks for chatting with us today, so you are out on tour right now with Devildriver, where in the USA do we find you? We are on tour right now, we’re in Oklahoma. We just finished the Arch Enemy tour and on our way home doing some off dates. Coal Chamber is back for some shows at Soundwave 2012, the obvious questions first….why 2012 and why is Australia so lucky for some shows? Well it’s been 10 years we’ve been apart and Coal Chambers been hanging out with my guys for years now, so what we decided was we would get back together and do some shows. Why Soundwave? Well its just great man, I love that tour and I love Australia. We’ve never come down there with Coal Chamber so I feel like it would be a great opportunity for us. So it’s your first appearance for Coal Chamber in Australia, whilst Devildriver is obviously strong down here, have you been aware of a strong base of Coal Chamber fans down under? Yes definitely, whenever we do signings or anything the first thing out of anyone’s mouth is something about Coal Chamber. So that really made me think about revisiting that music you know. As soon as the guys got themselves clean off of drugs and coming around and hanging out and all that, it was just obvious to me that one day it would happen again. I didn’t know where and when, but Soundwave is the perfect place to start. So did Mike and Meegs, the other guys in Coal Chamber take much convincing to do these shows? No, we all started talking about it together and where we wanted to go, whether it be in the States etc. We wanted to go somewhere we’ve never been, so Australia was pretty much then a done deal. So who have you got playing bass in this lineup? Chela, she’s from Canada and is an amazing bass player. She’s been playing for about 12 years, she’s a real deal player. I’m really looking forward to sharing a stage with her. In the years following the bands demise, have you had a lot of contact with your fellow band members? You know, for me I left the band because they got on hard drugs. Soon as they got clean off hard drugs and started coming around Devildriver shows, the moment that really cured it for me was Meegs the guitar player came up in around 2006 or 2007 at a Devildriver show and apologized to both my wife and my kids for everything that happened with the band and everything else. He knew that stuff happened with my family as well, if you leave something as I did, you’ve got to scale down. That for me really started to seal the deal and I knew we would revisit it one day and here we are talking about u today. I thank you for that compliment very much. I’m a hardworking guy and hopefully it will all pay off in the end. 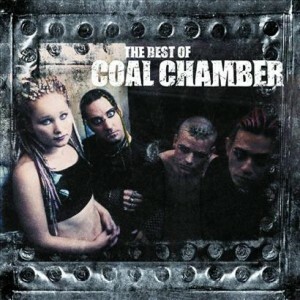 I love music and I love the fans of music and I really miss playing some of those Coal Chamber songs. So this will be full circle for me and knowing all the fans that will be at the shows. The feedback that I’ve gotten so far has been incredible. When they posted the release to say we were coming to Soundwave, my phone started ringing at 4am and didn’t stop ringing all day. So it’s been a pleasure so far! Having had the opportunity to tour the world with Devildriver, have you been amazed at the legacy of Coal Chamber around the world from encounters with fans etc? Oh yeah, when we released we were only doing Soundwave shows, yeah the people have been hitting us up constantly either on Twitter or Facebook. 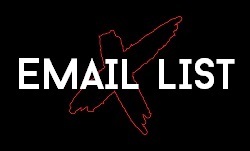 People from the UK, America, Japan, Indonesia, China, it’s been an incredible amount of feedback coming back on Coal Chamber which is great as often people can revisit a band after 10 years and there’s no feedback, but apparently there’s a want and a need for it, so there you go! It’s been around 10 years since your last album Dark Days was released, how do you think the music of Coal Chamber stacks up now in 2011? You know I just did that the other night. I sat back and listened to all the records including a bunch of outtakes and b-sides and stuff to try choosing a set list and I got to say a lot of those songs really hold up. The other ones that were the outsiders on the records hold up too as they were so outside that they are so different from anything I’ve heard. It’s definitely going to hold up live as well as it’s going to be heavy as hell. As far as when the band were first starting out it was certainly an interesting time musically in L.A, with “hair metal” out the door and grunge taking over, did you guys find it hard to find your place at first? Oh absolutely, and you have to realize that Los Angeles was dead at that point. The hair metal scene was dead and you had bands like Coal Chamber playing the Roxy one night and then an unsigned Korn bringing people up from Orange County on buses trying to play and break L.A open. System Of A Down were opening up for us for the first few years, Static X and a lot of amazing bands came out of there. I think the scene broke wide open with the different flavours of music. All of us sounded different but had something similar at the same time. It was certainly a very interesting time when I do look back on it. You go to L.A now and everybody kind of sounds the same, so hopefully L.A will have another break out very soon. 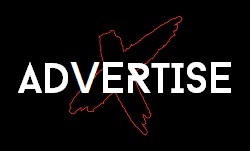 In the years away from Coal Chamber, whilst you have been active with Devildriver, has there been anything you have missed about the band not existing? Well definitely playing the songs, but also the brotherhood. You’ve got to remember when we came up we were living in a one bedroom apartment and there’s a whole history back there. When we get back together and start laughing, the magic is still there and that’s what I definitely want to revisit as well as the music. I definitely have missed playing those songs and you can expect a 2012 Coal Chamber, you know, a little bit more of a stepped up one. People are going to be pleasantly surprised and we are going to be sharing the stage with some great bands so we are going to be on our game 100%. Haha, look, it’s been a pleasure. Ever since we announced it’s been nothing but a fever pitch excitement and I welcome it! Back in the Coal Chamber days, who or what were some of the stronger influences on the band? Well a lot of the influence was early punk rock, but we listened to a lot of The Cure and The Sisters Of Mercy, so there was a lot of a goth influence. That was the thing that separated Coal Chamber from a lot of the other bands, from the Deftones to Korn, we had more if a goth thing happening. So our influences were drawn from everything heavy metal to everything goth and punk in the middle. It’s much like Devildriver where we all listen to so many different styles of music. 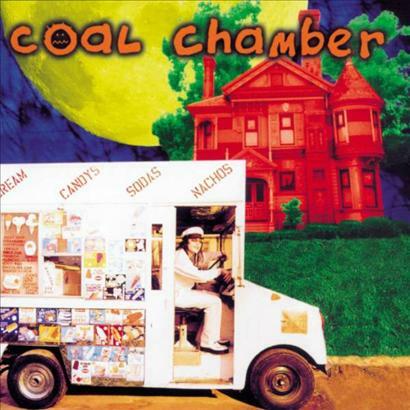 In what ways do you think Coal Chamber may have influenced some of the music we have heard in the years following? It’s pretty incredible really. I even have a lot of local bands coming up to me and going, we cover Loco, I mean we released that in 1996, it’s unbelievable. I hope we made a mark and we are getting ready to make another mark. So just how far and wide did Coal Chamber tour outside of the USA, did you get to the likes of Europe and the UK? Onto Devildriver now, your latest album Beast has been out for a while now, you must be pretty happy with the response to that album? Yeah I’m really happy, that entered the Top 30 on the Billboard charts with not one bit of radio airplay and very, very, little push. It was only the fan base and the swell of the fans that put that album on the map. It’s got some critical acclaim, which is great, and we’ve been riding the wave and working very, very hard. I want to make the statement that Devildriver is not being out down at any point, we’re just heading out to play a few Coal Chamber shows, you know! And back to radio, you even got radio play here in Australia! Correct, correct! That was very pleasing to us as the people at the label worked very hard for that so we were very appreciative. Here in the States we get minimal airplay and if we do, it’s 1am in the morning and it’s metal radio or wherever where you would expect us to be played on. Just picking up on what you said before about Devildriver, well I think I read that you are pretty much booked up until 2013 anyways, so there’s no stopping anytime soon? Well I just got off a phone conversation right now where some people were talking about 2014, so well see. We’re not about to stop running anytime soon, we are basically the hardest working band in metal right now. Nobody does as many shows as us and I love the road, so you’ve got to love what you’re doing, and I do! I’m blessed every day I get to grab a microphone and sing for people. 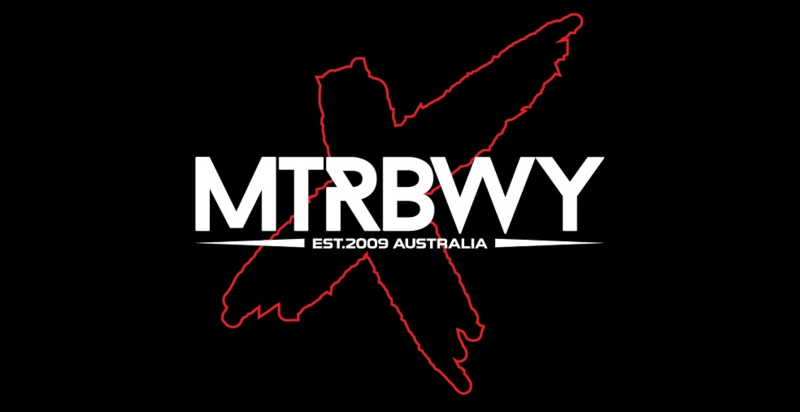 Any last messages for the Aussie fans down under? Get ready to get loco!!! Well Dez, thanks for your time and looking forward to catching the show at Soundwave 2012! We appreciate it man and thankyou very much for your time!